These exciting new attractions are for anyone curious about what it is like to walk in the footsteps of a farmer. 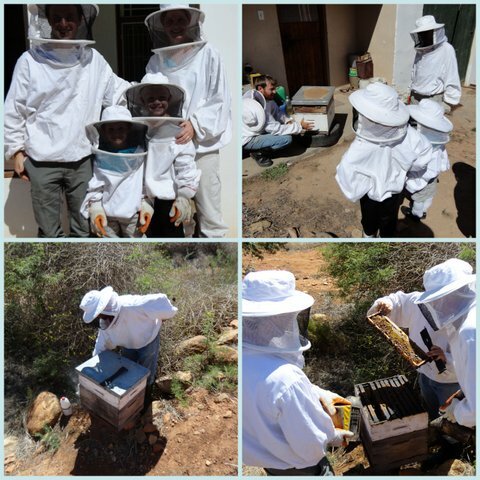 You don't have to quit your day job to be a beekeeper, drive behind a tractor, make wine or distil brandy (the old fashioned way), harvest grapes and fruit or make tasty preserves. 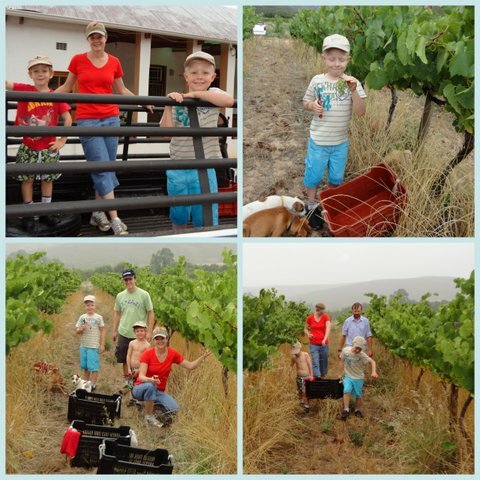 The story of Farmer Redbeard startedin the 1700's, but only 3 years ago in Ashton,the husband and wife team, Albertus and Patrizia van Zyl decided to bring a taste of their hidden treasure, their family farm, Wilde PaardeKloof, and farming to friends and families from near and far. For those seeking tranquility and an opportunity to be pampered; try a couple's or wellness weekend with a massage, sunset wine tasting, farm drive, vineyard walks and wholesome dinner. This is a perfect getaway. 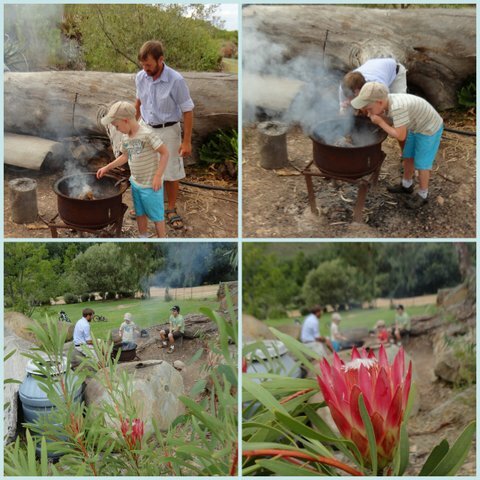 The self catering farm cottages and authentic South African farmhouses make the perfect resting place for a fun days outing. Farmer Redbeard is also great for children & adult's parties, end of year functions & team building events. 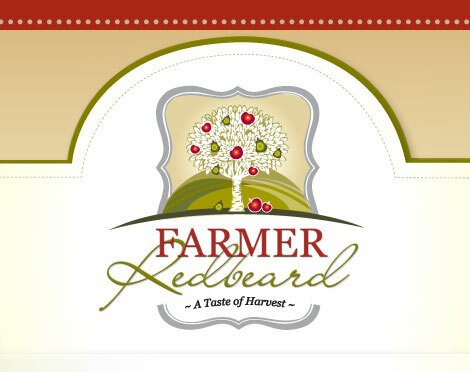 A working holiday you have always dreamed of and will never forget.During the summer months, Farmer Redbeard is busy harvesting in his fruit orchards and vineyards. Come winter, he paints, prunes, ploughs and plants. So those budding fruit farmers, vintners and wine aficionados can have the chance to experience the magic of farming without having to quit their day job. 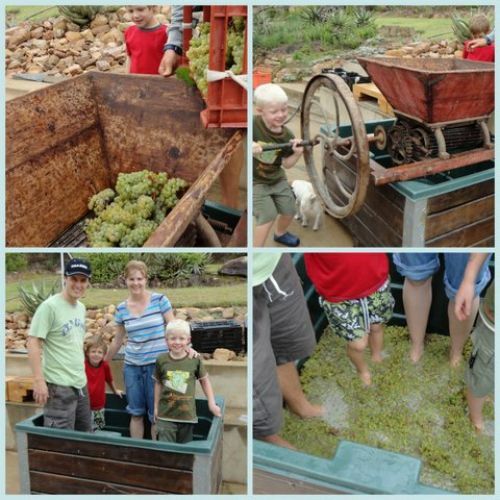 Farmer Redbeard, a passionate wine and brandy maker gives you the opportunity to make your own wine, while Mrs Farmer Redbeard takes you into her kitchen to make sticky treats like jams and preserves. Taste Farmer Redbeard's handcrafted wines in the vineyard in which the grapes were grown, and listen to him tell you more about the art of viticulture and wine making. His attention to detail in his vineyards ensures that he produces quality wines, with a unique and distinct aroma, flavour and character. Farmer Redbeard's farm is a restful haven in the mountains to rekindle your romance with the one that you love. A body massage is followed by a sunset wine tasting in the vineyard and farm drive to a cosy bush braai for dinner. Walks in the orchards are beautiful any season of the year. Rest in the farm cottages equipped with an indoor and outdoor fireplace. Wake up to a farmhouse breakfast. Accommodation on the farm is in a traditional South African 18th century built farmhouse, farm cottages or for the adventurous types a 'Bush bus' tucked away in the mountain. Built at the base of the Langeberg, the views are different every day and every season. The calmness of the farm is soothing.Farmhouse food made by Mrs. Farmer Redbeard accompanies each Hands on farming event. Satisfied customers keep coming back for more. Farmer Redbeard is a top travel premier South African destination!